16-time Grammy Award-winner Sting will be featured on the annual holiday music CD, Broadway's Carols for a Cure, Vol. 16. Singing with the cast of "The Last Ship," ­­­­and playing acoustic guitar accompanied by a full band, Sting has created an original version of "Soul Cake." 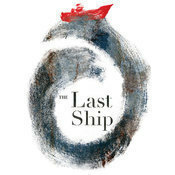 The new musical "The Last Ship" features an original score and lyrics by Sting and marks his debut as a Broadway composer. "The Last Ship" is inspired by the English seaside town of Wallsend where Sting was born and raised, and where life revolved around the local shipyard. Stars, casts and musicians from the current Broadway line-up are completing recording now for the 2014 Broadway's Carols for a Cure, Volume 16. Singing traditional and original songs, this annual holiday music CD benefits Broadway Cares/Equity Fights AIDS, one of the nation's leading industry-based, nonprofit AIDS fundraising and grant-making organizations. This year's CD also features the voices of Tony Award winner Jessie Mueller and the cast of "Beautiful - The Carole King Musical;" Rema Webb plus the cast of "The Lion King;" Ryan Shaw (Stevie Wonder) and cast members from "Motown: The Musical;" Jason Tam, Jenn Colella, Tamika Lawrence and the cast of "If/Then;" Keke Palmer, Sherri Shepherd and Judy Kaye and the cast of Rodgers & Hammerstein's "Cinderella;" plus Tony winner Jefferson Mays and Bryce Pinkham with the cast from "A Gentleman's Guide to Love & Murder." Recordings also include casts from "Aladdin," "Wicked," "The Phantom of the Opera" and "Cabaret." Additionally, celebrity gossip blogger and Broadway fan Perez Hilton once again recorded a track in support of Broadway Cares/Equity Fights AIDS. Purchase of this annual CD of original and traditional holiday music supports Broadway Cares/Equity Fights AIDS. Broadway's Carols for a Cure, Volume 16 can be ordered for only $25 through BC/EFA at broadwaycares.org or by calling (212) 840-0770 x238 Monday-Friday, 10:00 a.m. - 5:00 p.m. EST. Volumes from previous seasons are available, too (check online or call for price). As always, the CDs will be sold at participating Broadway and off-Broadway shows in New York during a six-week "Gypsy of the Year" fundraising period, which begins October 24 and runs through December 7. Additionally, the CDs are available at select venues throughout the U.S., including The John F. Kennedy Center for the Performing Arts in Washington, DC. Broadway Cares/Equity Fights AIDS is one of the nation's leading industry-based, nonprofit AIDS fundraising and grant-making organizations. By drawing upon the talents, resources and generosity of the American theatre community, since 1988 BC/EFA has raised more than $250 million for essential services for people with AIDS and other critical illnesses across the United States. Broadway Cares awards annual grants to more than 450 AIDS and family service organizations nationwide and is the major supporter of the social service programs at The Actors Fund, including the HIV/AIDS Initiative, the Phyllis Newman Women's Health Initiative and the Al Hirschfeld Free Health Clinic. For more information, visit Broadway Cares online at broadwaycares.org, on Facebook at facebook.com/BCEFA, on Twitter at twitter.com/BCEFA, on YouTube at youtube.com/BCEFAtv and on Instagram at instagram.com/BCEFA. Rock-it Science Records (www.rock-itscience.com) is an independent record label based in New York City co-founded by Broadway performer and producer Lynn Pinto. RSR produces recordings for members of the Broadway community and Broadway's leading charity, Broadway Cares/Equity Fights AIDS (www.broadwaycares.org). RSR's popular series Broadway's Carols for a Cure is currently in its sixteenth year. This highly anticipated annual holiday release features casts from the current Broadway line-up of shows performing new and traditional holiday music. Broadway's Carols for a Cure offers a "snapshot" of each season, as the casts and orchestras from each show on Broadway perform their own holiday track. Since 1999, Broadway's Carols for a Cure has featured the creative talents of thousands of Broadway's brightest stars and has raised over $3 million for Broadway Cares/Equity Fights AIDS.